Sujana denies rumors of lookout notices to its head. Hyderabad: The Sujana Group of Companies, headed by its chairman, former Union minister Y. Satyanarayana Chowdary, has allegedly defrauded banks to the tune of Rs 5,700 crore, the Enforcement Directorate has found. An ED official said they were namesake directors and had no idea of how the funds of BCEPL were utilised. The transactions of the group were known only to the key persons, he quoted the company officials as saying. In the last 24 hours, searches were conducted at eight locations — seven in Hyderabad and one in Delhi — on the Sujana group which yielded documents that revealed that the banks had been defrauded by the group companies to the tune of more than Rs 5,700 crore. 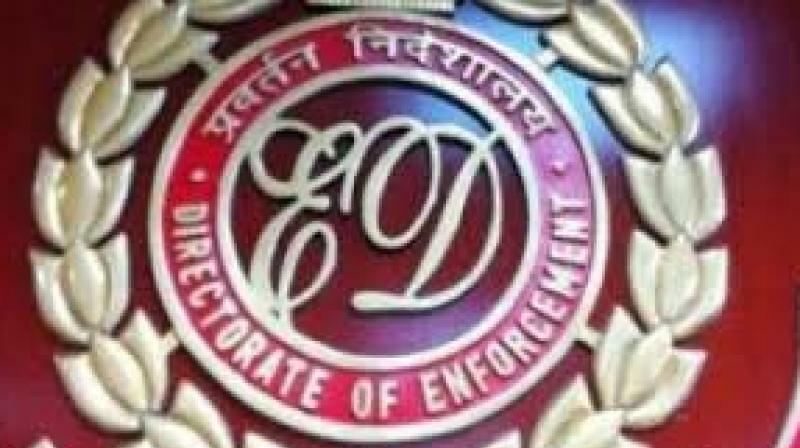 In another premises, documents recovered revealed that there were Fema/ DRI/ CBI cases against the group companies. Documents related to forex transactions were also seized. The documents indicated that there were over 120 companies and most of them are non-operating or companies on paper without genuine business activities. Preliminary indications were that certain loans to group companies were sanctioned against the personal guarantee of Mr Chowdary. At his residential premises, the six high-end cars were found registered in the name of dummy companies. These vehicles have been seized under the provisions of PMLA. Mr Chowdary has been asked to join further investigation by issuing summons for his appearance on November 27. Responding to the ED raids, Sujana Group of Companies, denied rumors of lookout notices against the chairman Mr Sujana Chowdhary. “Sujana Group has provided all the information as required by the ED. While these are the facts, there is a widespread rumour that lookout notices are issued against the directors of Sujana Group, which is a false. Sujana Group condemns this rumours,” an officials release said. They also denied the rumours that officials misbehaved with media personnel (during the searches). Y. Sujana Chowdary quit as a Union minister in March after the fallout of TD with the NDA-led government.